DVDs are $10.00 USD each (shipping to the United States only). Only the English version is currently available. If you do not live in the United States and wish to purchase the DVD, please check Amazon to see if they have any copies for sale. If they don’t, please email us at info@embracingdyslexia.com and we will do our best to help you. 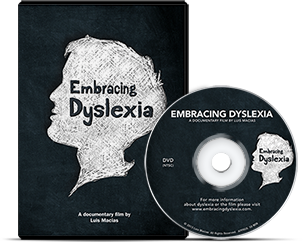 For information about hosting your own screening of Embracing Dyslexia please visit our Host A Screening page.